It was almost a fairy tale comeback for 2016 Godolphin Mile (G2) winner One Man Band in December. Off 999 days, he returned to the racetrack looking and performing as if he had not missed a beat. Leading all the way until the last jump of the Dubai Creek Mile (Listed), he was nipped by aptly named stablemate Stunned. “The year after he won the Godolphin Mile, he came out and we had been cantering for two days starting back the next season and he ended up with a tendon issue. We had to put him away for the year and brought him back the next year and we were going to run him seven furlongs up the hill in a conditions race (at Jebel Ali). His other tendon got a small lesion in it, so we had to stop there. We basically thought he was retired and I didn't want to train such a nice horse with two bowed tendons. They weren't bad, but they were there. Stud plans have not yet been determined for the son of super-sire Pivotal out of Group 1-placed Cape Cross mare Musicanna. The Irish-bred $129,523 Goffs November 2011 purchase retires with eight wins from 17 starts and earnings just shy of $1 million. Previously in the care of Charlie Appleby for his first two starts in August and September of 2013, he raced under Watson's care for the remainder of his career. 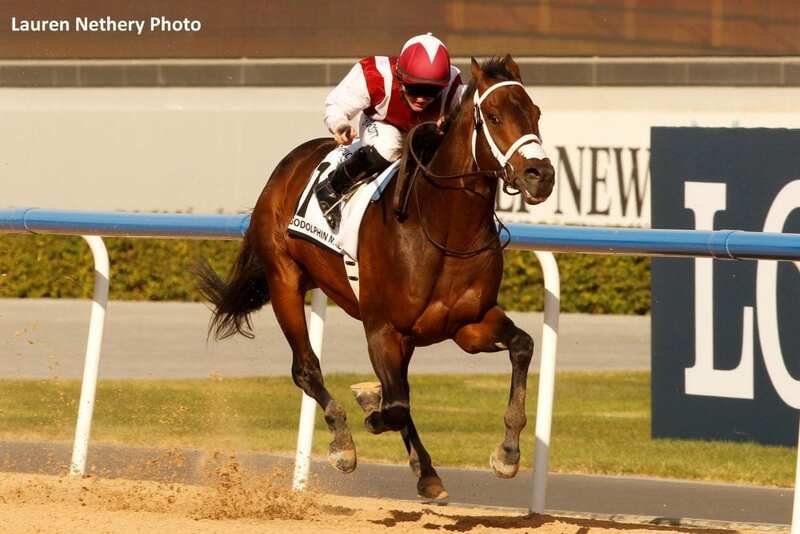 This entry was posted in Bloodstock and tagged doug watson, dubai creek mile, dubai world cup, Godolphin Mile, one man band, retired, sheikh saeed bin mohammed al maktoum, UAE by Dubai Racing Club. Bookmark the permalink.